Hello again and welcome to the mid-July edition of the Learn All About Horses Newsletter! 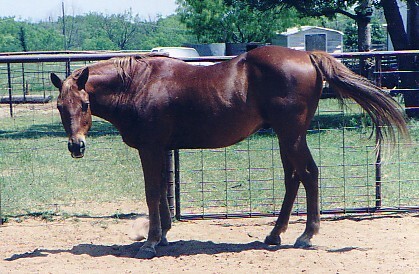 I am contemplating a contest to find Shade (my 3 month old palomino colt) the perfect registered name. Any suggestions on how to conduct this contest and what awards would be appropriate would be appreciated. Please send suggestions to powerb@texasisp.com and thanks in advance. Our featured website this month is TheHorse.com, "Your guide to equine health care." This is an information website and features articles on horse health and care, and up-to-date news articles that affect horses and their people. The West Nile Virus is a contagious (although only through mosquitoes) and sometimes fatal form of encephalitis (inflamation of the brain) that is incubated in birds and transmitted by mosquitoes. It first appeared in the United States in 1999 and it is spreading. This disease can be contracted by almost any animal, but birds, horses, and humans seem to be at most risk. However, while some cases are fatal, many animal and most people recover from the virus. Signs of West Nile Virus in horses can include ataxia, difficulty walking, knuckling over, head tilt, muscle tremors, and the inability to rise. There is an effective equine vaccine available that should become a regular part of the horse owners health managment program. The vaccine for Venzuelan, Eastern and Western Equine Encephalitis does NOT protect an animal against the West Nile Virus. 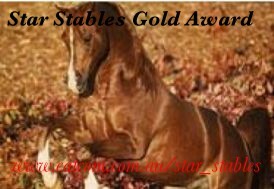 Our thanks to Anna of Star Stables for honoring Learn All About Horses Website and Newsletter with the Star Stables Gold Award! Star Stables is a SIM game and involves the care, training and showing of horses. There are also free banners and a campaign page to protest the unnecessary slaughter of horses. Visit Anna at Star Stables and let her know we sent you.